Written by Greig Coetzee and featuring Tim Redpath, directed by Lynn Chemaly, Breasts – A Play about Men was written at a time when it seemed that stand-up comedy was going to take over the Grahamstown Festival. First presented at The National Arts Festival in Grahamstown in July 2000, Breasts – A Play about Men was performed by writer Greig Coetzee and directed by Garth Anderson. “It opened our first St Anne’s Theatre Festival in August 2001. Nearly twenty years later, it is remarkable how relevant the content remains, not only in terms of its insight into gender relationships and masculinity, but also in highlighting attitudes to race, class and culture that continue to permeate our South African society,” says Chemaly. “In the face of the #MeToo movement, and the startling statistics around gender based violence, our ultimate goal in presenting Breasts – A Play about Men is to open a discourse about sexism, toxic masculinity and the massive communication gap that exists between the sexes. Breasts – A Play about Men is being presented as part of the Grade 10 Drama Residency in which the actor, Tim Redpath, will run classes with the girls for the week, building their theatrical performance skills while exploring the theme of toxic masculinity and #MeToo,” Chemaly adds. There will be a post-show discussion with the actor and director to generate conversation around gender issues and to answer any questions about the production. Greig Coetzee grew up in KZN and studied Drama at UKZN Pietermaritzburg. He taught Drama at GHS for several years and wrote and performed a series of one-hand plays: White Man with Weapons, The Blue Period of Milton Van Der Spuy, Breasts – A Play about Men and Happy Natives, before moving to Johannesburg to write for Isidingo. He wrote and performed his most recent production, Johnny Boskak is Feeling Funny, in 2004, which was the second of his plays to receive the First Fringe Award of the Edinburgh Festival. Greig now lives in the UK where he works as a writer for film and television. Tim Redpath has a Bachelor of Arts Degree in Drama and Philosophy form Rhodes University. After winning the Brett Goldin Bursary, he spent a month in 2012 training at the Royal Shakespeare Company in Stratford-Upon-Avon in the U.K. 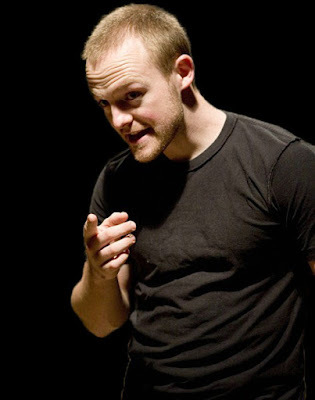 He has been touring the acclaimed one-handers, Prodigal and Mouche, to theatres and schools locally and abroad since 2006, with his shows doing particularly well at the 2009 Edinburgh Fringe Festival where he won the Sweet Venue’s Best Actor Award. Tim continues to act for film and theatre, facilitate workshops, direct productions and coach acting and physical performance. Lynn Chemaly has a Bachelor of Arts Honours Degree form UKZN PMB and is the Theatre Director at St Anne’s Diocesan College in Hilton. She has directed numerous and varied productions with scholars, graduate and post graduate students and professionals over the past 25 years.